Do you see this e-mail properly? » view in browser! In business life 2 things matter. You should be able to converse smoothly and you should find the right words reflecting the conversational situation. 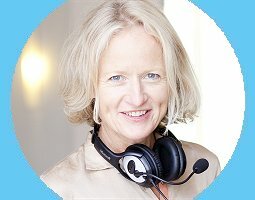 Only this way you will convince your listeners. This is exactly what we train in our online lessons via Skype. A list of our online training sessions will show you the most popular topics. 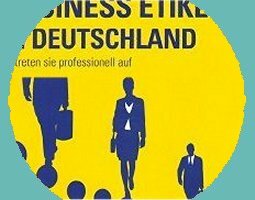 Our bilingual guide about business etiquette in Germany answers many questions and helps you to avoid inappropriate business behaviour. Ask for one or our last copies of the 3rd edition profiting from a special rate - 19.99 Euro instead of 29.80 Euro. 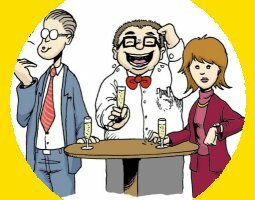 Jot down the keyword "Erfolg 2018" in an email to us info@business-knigge.info and we will send you the order information. Informal information that meanders in a company is often called jungle drums or "Buschfunk" in German. It is important to have these news. As a new employee it is often tricky to have access to them. In our article you will learn about 8 essential tips how to access them if you manage to lead a kind of a professional small talk. The sun is shining and the trees are beautifully coloured. The students get back to Bamberg University and create a vivid atmosphere. Students at TREFFPUNKT Language Institute learn German in mini groups and on the weekends they get acquainted with the region of Franconia. Look at the excursion they made to Coburg. 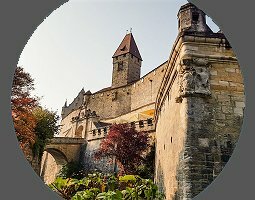 Come to Bamberg and join us, too! 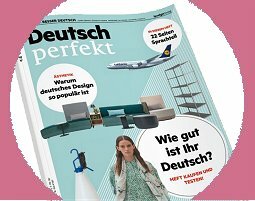 Learn German the easy way with the monthly language magazine "DEUTSCH PERFEKT". It offers an entertaining mix of information on German-speaking regions. Language training tasks will improve your German skills. The major themes of the November issue are Bavaria and Austria - neighbours for 100 years. Reading Strategies - techniques to help you to comprehend a text faster. You receive this e-mail from us, because you are registered with your e-mail address for this newsletter.